In Its All About Bongos / Techie Problems. In Its All About Bongos / Show your mug and say hello. 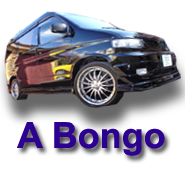 From day one the Bongo forum has served as a platform for the Mazda Bongo/Freda owner to exchange help, and ideas, plus to have a bit of banter with each other. Did you know that we have a FREE classified section where you can place an advert to sell you Bongo, you can also browse adverts. Do your have a Bongo to show, or want to see others? Really this should read that the Bongo Forum is a self help group for like minded people. As the Bongos in this country age, things can and do go wrong. But its the exerience that owners have that can really make a difference. This is why our actual Bongo Forum is a key to helping others. 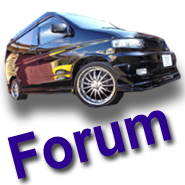 We are also a small community, and our forum is full of chat and banter away from the world of the Mazda Bongo. From time to time, you may spot up a meet up that you may wish to take part in. For the most part its your web site, and its your chat forum. 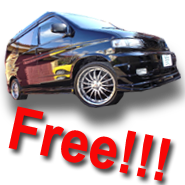 Thank you for visiting the genuine Mazda Bongo Forum! This site is a FREE web site for the Mazdo Bongo owner, and is not a commercial enterprise.No membership fee"s are charged. Donations are welcome.